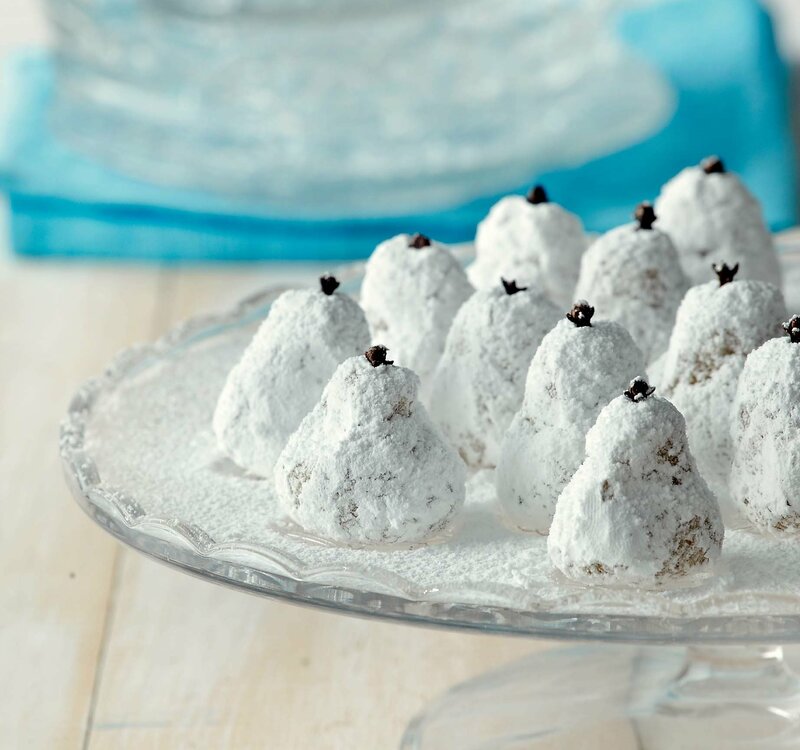 Amygdalota is the first sweet that comes to mind when thinking of desserts for important celebrations: weddings, baptisms, engagements. This sweet is always accompanied by a glass of souma (drink made from figs). Especially in the Cyclades, no house is without its amygdalota – after all, the almond tree is resilient to drought and wind. Of course, there are many different versions, and the most revered come from Andros, Tinos, Mykonos, Chios, Hydra, Spetses, and Galaxidi. No matter which part of Greece they come from, one thing is for sure: they are all Greek as Greek can be. Cover two shallow baking trays with non-stick paper. Put the ground almonds in a large bowl. Mix in the confectioner’s sugar and semolina with your hands. Drizzle with rosewater and melted butter. Put the eggs whites and salt in another bowl. Beat until fluffy with a whisk or a hand-held mixer on medium speed; about 3-4 minutes should be enough. Add the egg yolk and vanilla powder, and combine. Transfer this mixture to the dry ingredients and knead gently until incorporated. Cover dough with a clean kitchen towel and stand for about 1 hour. Shape the dough into small pear-shaped cookies. If the dough is sticky, dip hands in rosewater. Put on the baking trays and bake for about 25 minutes, until lightly golden. To remove from non-stick paper, gently dampen the underside of the paper with wet hands. Brush with rosewater and roll them across a plate of confectioner’s sugar until coated. You can put each one in plastic wrap or offer them to guests in candy wrappers.